Not to be confused with Jones Street—a single-block lane located in the West Village—Great Jones Street is a two-block stretch that lies between Broadway and The Bowery. It is within the bounds of the NoHo Historic District, and is marked by the district’s characteristic Romanesque, Renaissance, and Neoclassical facades as well as modern construction that took place before the area was granted landmark status. 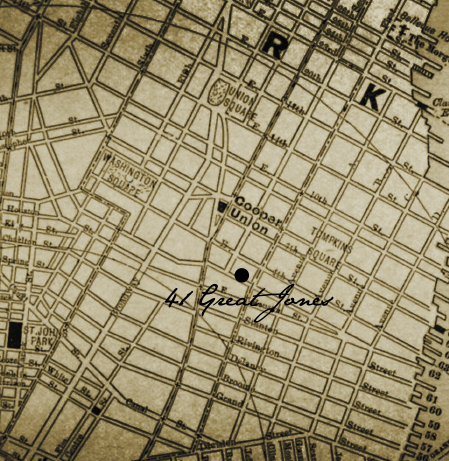 But what distinguishes Great Jones Street from others is neither its location nor the incongruity of its architecture. What makes it special, what makes it alluring, is a richly mysterious and urban history that weaves together the stories of aristocrats, outlaws, and high-profile artists. Great Jones Street was donated to the city by local lawyer, Samuel Jones, near the end of the 18th Century with the stipulation that it had to be named after him. Had it not been for that condition, the street likely would have continued on as East 3rd Street. In the mid-19th Century the street had gained a reputation as a sanctuary of the elite. It was where former New York City Mayor Philip Hone—known more for his contributions as an aristocratic socialite than as a public servant—made his home after his time in office. By the late-19th Century, however, when the city’s wealthy moved uptown, the street became home to a teeming immigrant community of Irish, Germans, and Italians, and became a production zone for wagons, hats, and coffins. In the early-20th Century it was where notorious “Five Points” gang leader Paul Kelly decided to headquarter his operation. 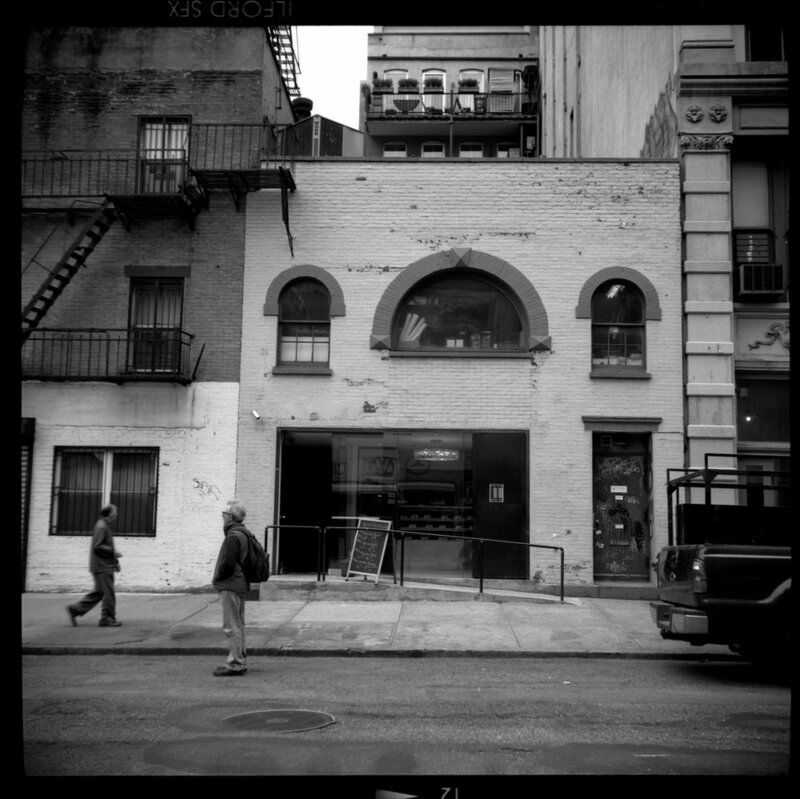 Eventually, as the city continued to evolve, Great Jones Street became an enclave for artists, none of which were more renowned than Andy Warhol and Jean-Michel Basquiat. The latter rented out Warhol’s Great Jones Street apartment and lived and worked there until his death. Great Jones Street is lined with small galleries, shops, and cafes. It is once again a sought-after address for the city’s affluent. Walking down the street today it is difficult to imagine just how much went on in this little two-block corner of the city. But all along this exclusive corridor—in an unassuming brick building faced with a trio of arched windows, in one of the many cast-iron edifices that seem to tower over everything else, or in the alley that is as surprising to come upon as it is enigmatic—there still exist remnants of an irresistibly colorful past. NoHo, named for its location just “NOrth of HOuston,” is a small, historically commercial district nestled between SoHo, Greenwich Village and the East Village. 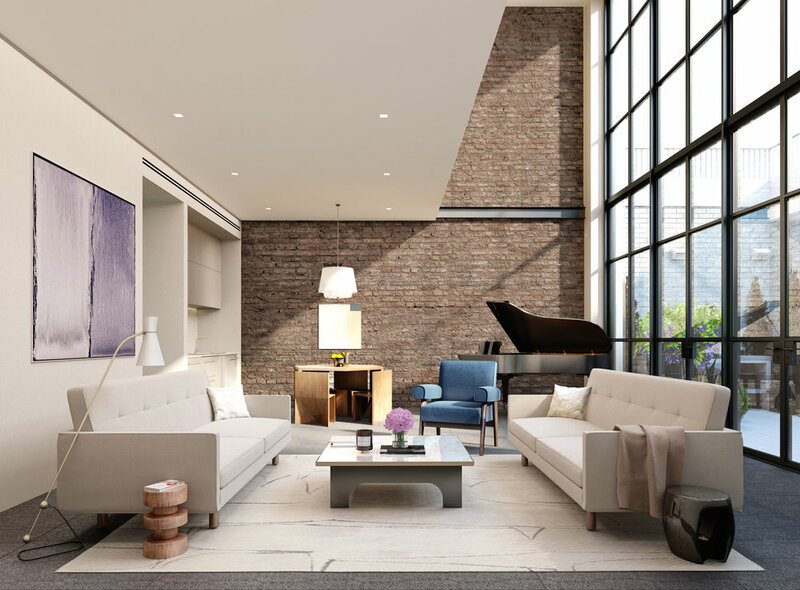 NoHo’s small size, abundant, airy lofts, central location, and hip attitude make it one of the most expensive and desirable neighborhoods in Manhattan. NoHo has long been known for its ornate storefronts and loft buildings, designed by highly acclaimed architects and providing an elegant venue for shoppers and powerful merchants. It boasts every type of store imaginable, rivaling nearby SoHo’s offerings. Quirky vintage shops, ultra-hip, creative clothing boutiques, appealing old-fashioned bookstores, and purveyors of leather goods offer one-of-a-kind finds. NoHo is home to many artists and its marvelous galleries showcase the works of the vibrant art community. Morris Adjmi established the firm in New York City in 1997 following a 13-year, collaboration with the renowned Italian architect Aldo Rossi. On that strong foundation, he built a practice inspired by the arts and by new technologies as well as history and tradition. Today, with projects under construction around the world, they are recognized for their thoughtful engagement with the past, artistic sensibility, and creative use of materials. The diverse team of architects, interior designers, and administrators is guided by a shared belief that timeless ideas about beauty and harmony can be integrated into the modern built environment, but the expression of those ideas must reflect the way we live today. 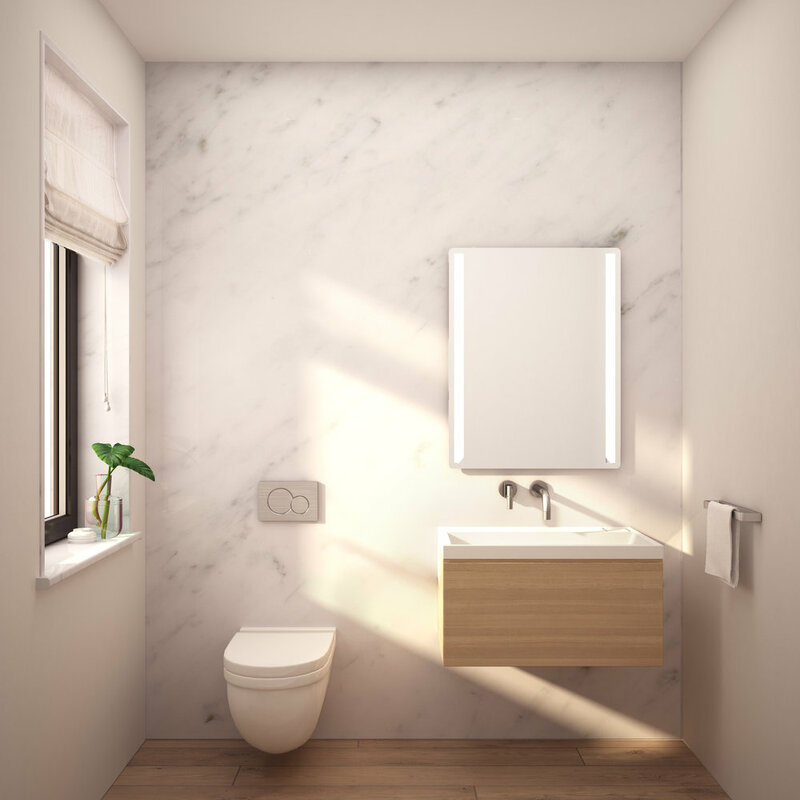 Blumenfeld Development Group, Ltd. (“BDG”) is a full service real estate development firm with core strengths in big-box retail, office space and residential homes. BDG’s fully integrated team allows for seamless packaging of all services, including those related to sales, leasing, acquisitions, property management, construction, permits and approvals. BDG brings a client-centered approach to every project. This fundamental tenet, when combined with a highly specialized team of real estate professionals, produces unparalleled levels of service. Over one hundred years of combined experience in acquisitions has endowed the firm with an extraordinary sense of value. BDG employs over fifty people in three New York offices and controls over four million square feet of real estate. Led by Ryan Serhant, The Serhant Team is a bicoastal real estate brokerage and marketing firm of over 40 agents in Manhattan, Los Angeles, Miami, and the Hamptons, specializing in new development sales, high-end residential condo and co-op sales and leasing, multi- and single-family homes, site acquisitions, and investment sales. The Serhant Team has garnered an excellent reputation and is ranked the #1 team in New York by The Real Deal and The Wall Street Journal in their 2018 Annual Reports. Sponsor reserves the right to make changes in accordance with the terms of the offering plan. The complete offering terms are in an offering plan available from Sponsor. File No. CD15-0385. Sponsor: 41 Great Jones Holdings, LLC. Located at 300 Robbins Lane, Syosset, New York 11791.